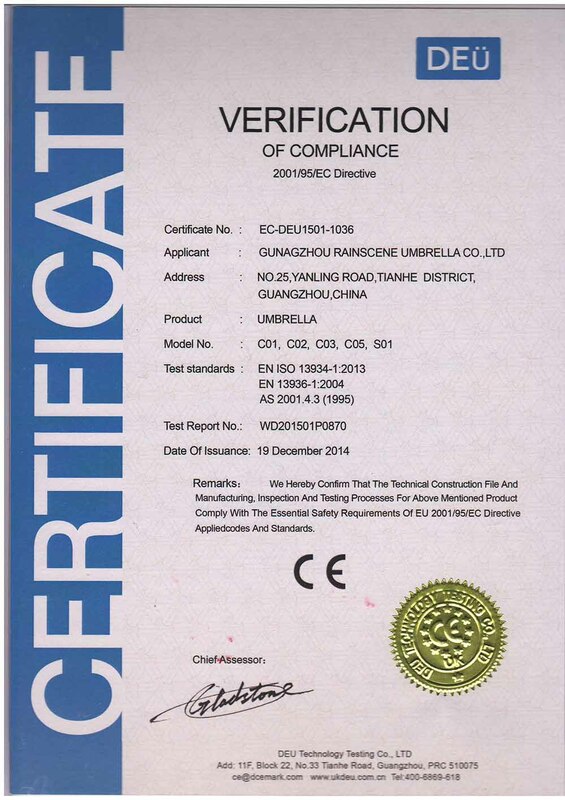 Company Overview - Guangzhou Rainscene Umbrella Co., Ltd.
6YRSGuangzhou Rainscene Umbrella Co., Ltd.
We are one of the biggest professional umbrella manufacturers in China with 150 employees. 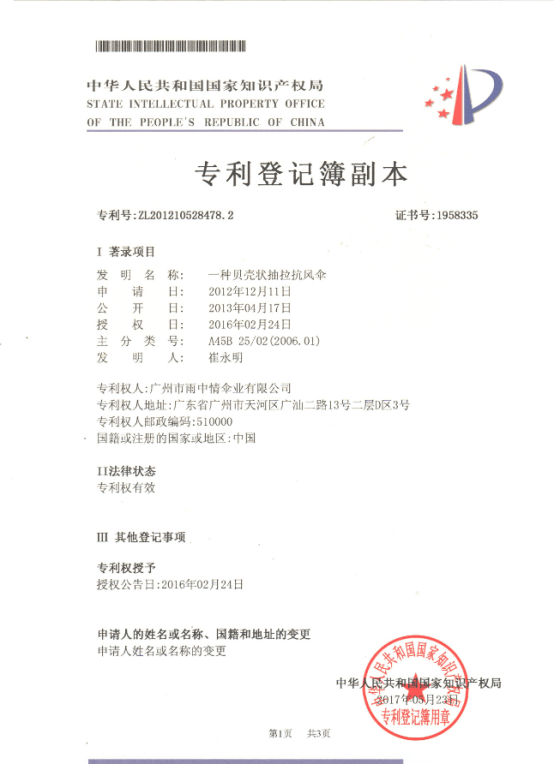 Our factory is located in Shenzhen City of Guangdong Province (factory area is about 20,000sqm) with more than 10 years' experience. 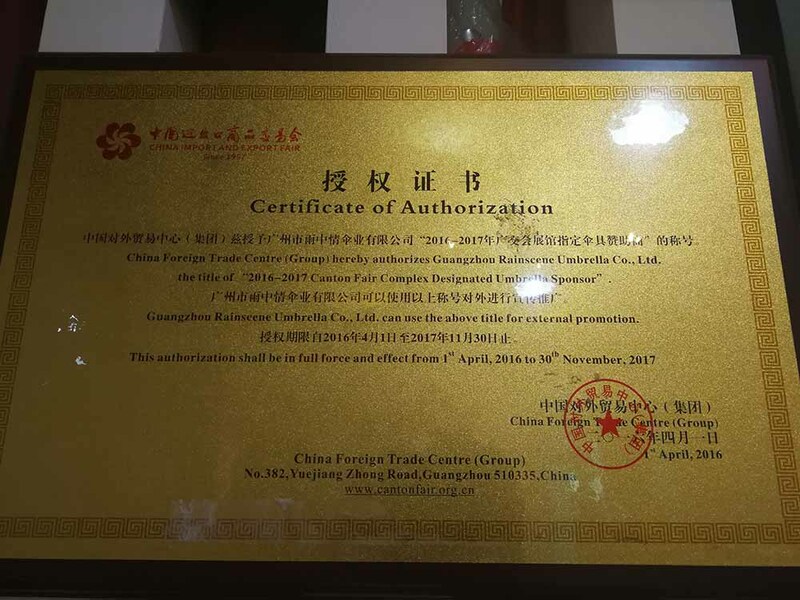 Faced up with fierce competition, we are currently cooperating with many overseas importers and manufacturers to increase their market shares. 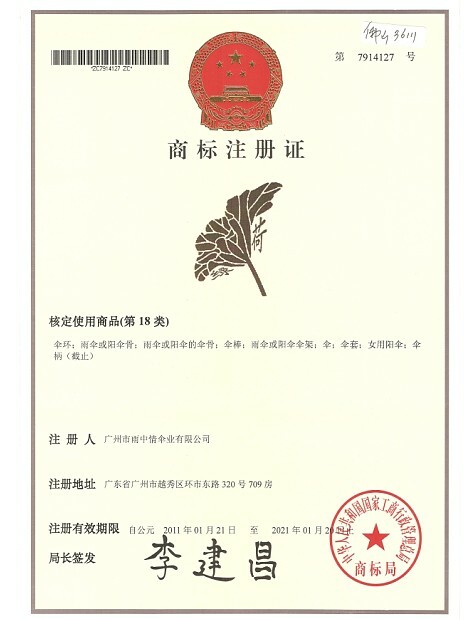 The reasons why buyers like to cooperate with us are our advantages in:1) Product DevelopmentSufficient and updated equipment: to develop our own tooling in umbrella A design and engineering team: to provide quick drawing and all technical support 2) QualityOur factory is currently running a successful ISO9000 and 5S management system. All of our management personnel have at least 5 years' experience in electronic business. Up to now, we are cooperating with manufacturers in more than 10 difference countries to produce OEM items of up to 500 styles. 3) CommunicationOur staff members in top management level do have rich experience in communicating with customers to complete projects in the most efficient and professional way. 24 hours on call All samples must be approved by customers before mass production. Any good idea and improvement of products must be reported to customers immediately. Any E-mail and inquiry will get reply within 1 day. Should you need any more information, please feel free to contact us. We hope to have an opportunity to cooperate with you. We Make, We Deliver and We Care.